One of the authors goals in writing this book was to spark the interest and imagination of the next generation of medical students and their educators. I found this textbook easy to digest in terms of assimilating the information presented of the people, places and events that shaped the history of Western medicine, but I discovered the real value of this treatise is in the wisdom that can be acquired by stepping away from the here and now and gaining that broader historical perspective. An understanding of where medicine has come from can only help young enthusiastic medical students to dispel their inherent generational tunnel vision, to find deeper meaning in today's medical practice, and to envision the future of medicine. 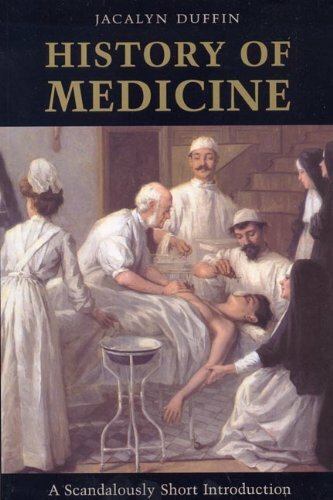 I highly recommend that all medical students set aside time to read this "cultural history...of medical events". As the book is organized along the lines of a traditional medical school curriculum complete with learning objectives, students could read the chapters for each course as they embark on each new semester. New York University School of Medicine. The new 5th edition of the American Psychiatric Association's Diagnostic and Statistical Manual of Mental Disorders (DSM-5™) is now available on the Reference shelf in the library. The DSM is used by clinicians and researchers to diagnose and classify mental disorders. This latest edition is 10 years in the making, involving hundreds of international experts working in all aspects of mental health. "The DSM-5 is the most comprehensive, current, and critical resource for clinical practice available to today's mental health clinicians and researchers of all orientations. The information contained in the manual is also valuable to other physicians and health professionals, including psychologists, counselors, nurses, and occupational and rehabilitation therapists, as well as social workers and forensic and legal specialists."